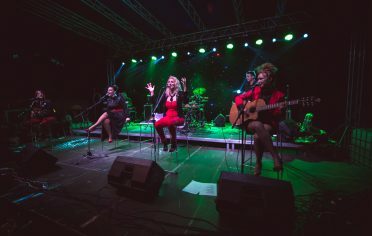 We’re only a month ahead from the beginning of the DOBRO World Cup which will be held on the 26th and 27th May at Osijek’s City hall. Therefore, the list of the competitors is familiar. Let’s share the details. Athletes from all over the world are coming to Osijek, precisely gymnasts from 30 countries worldwide, one after the other: Austria, Azerbaijan, Belarus, Brazil, Bulgaria, Cyprus, Czech Republic, Dominican Republic, Egypt, Great Britain, Germany, Hong Kong, Hungary, Israel, Italy, Kazakhstan, Lithuania, Netherlands, Romania, Russia, Slovenia, Serbia, Switzerland, Chinese Taipei, Turkey, Ukraine, Uzbekistan and of course the host – Croatia. The Jubilee 10th edition of the Osijek’s World Cup will be enriched by the performances of many Olympic and World medal winners. We assure you that the most interesting and most attractive application came from Uzbekistan by Oksana Chusovitina who’s the oldest active gymnast and also the oldest gymnast who competed at the Olympics. She was in Rio de Janeiro two years ago, when she was 41 years old. Those were her 7th Olympics in a row, what makes her a record holder in the gymnastics world. It’s a funny fact that she managed to do that by carrying three different flags at the Olympics – Olympic, German, and Uzbekistan. She competed for the Soviet Union as well. At her first Olympics at Barcelona, she won the gold medal as a member of a Team. She also owns nine medals from the world championships, and all of them are on vault. In the male part of the competition, a 26-year old Russian Densis Ablyazin stands out. He won five medals at the Olympics 2012 and 2016 in three different categories (floor, vault, and rings) and in the Team All-Around. Back in 2014, at the competition held in Nanning, he became a World Champion on the floor, and he’s a six-time European Champion. Croatia will be represented by their domestic powers. The first name on the list is the World Champion on the high bar from 2017, Tin Srbić. 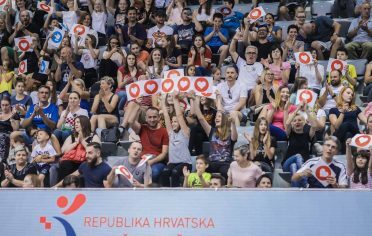 Croatian male team also includes Robert Seligman and Filip Ude (pommel horse), the European Championship finalist at Cluj-Napoca, Anton Kovačević, and Aurel Benović, a young gymnast from Osijek, who will have his first performance in front of the domestic crowd performing on the floor. Croatian gymnastic “woman power” will be shown by Tijana Tkalčec, Ema Kajić, Christina Zwicker and Ana Đerek. 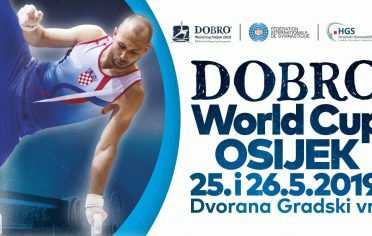 For more information about DOBRO World Cup Osijek, visit www.osijekgym.com.